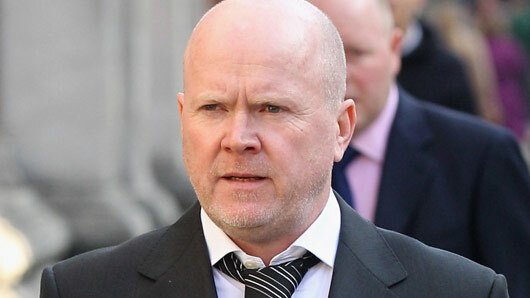 Steve McFadden is hoping that his character Phil Mitchell’s time on EastEnders isn’t coming to an end. The death of the Mitchell hardman has looked increasingly likely in the past months, after Phil succumbed back into alcohol addiction and subsequently learnt his liver was irreparably damaged. Phil is currently on the waiting list for a liver transplant, but the ordeal has been complicated by his long refusal to kick the booze. Most recently, Phil’s son Ben offered to donate part of his liver to his father, but doctors have warned that the process will not be easy. Speaking to the RadioTimes.com, McFadden admitted he did not know the outcome of the story and hoped it did not spell the end for the beloved character. He said: “I do know that actors get concerned about the future and want to know what’s happening six months in advance. So there is the temptation to want certain types of storylines. But I’ve always opened my arms to the nature of soaps – you don’t know the end until you get to the end. McFadden would be one to understand soaps, as he has appeared in EastEnders for a whopping 27 years. He first joined the soap alongside brother Grant (Ross Kemp) in 1990, and during his time on the show has been involved with addiction problems, multiple crimes and dozens of affairs. It would be a massive loss to see a character like Phil go, so we’re hoping this is an EastEnders bluff and Phil remains alive for a long time yet. EastEnders continues Thursday at 7.30pm on BBC One.